This Is Certain: Robinia Wood Resists Something. The wood of Robinia has outstanding technical characteristics, high natural durability and often a decorative appearance. The wood of Robinia is heavy and hard, accordingly it has good strength values that clearly exceed those of the oak. It is difficult to split, tough, elastic and easy to bend. As the ash and the hickory, the Robinia stands out due to its above-average load capacity in case of a dynamic load. The degrees of shrinkage – as measured by the high density – are low. Once dried, the wood has a good stability. The drying takes place very slowly. Due to deviation of fibers and growth tensions Robinia wood tends to warp and crack. However, a sufficient predrying in open air and the sealing of ends allow very good results in technical drying. The wood having straight grains can be easily processed, carved and shaped with all hand and machine tools. 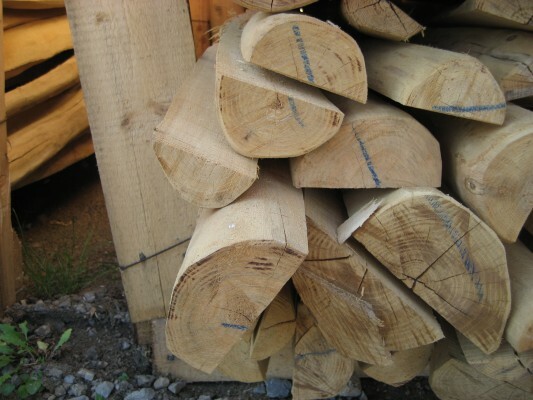 Robinia wood has high edge strength. Planed surfaces are tight and flat, and can be processed further without problems. All connections with nails, screws or adhesives are very durable. However, pre-drilling is required. The original colour of Robinia disappears in case of thermal treatment, e.g. steaming for veneer production, and changes to chestnut brown. The wood is highly acidic and gets discoloured by metals in connection with humidity, additionally the metals corrode. Timber joints or stainless steel need to be used for mounting. The dry wood is odourless. Specific ingredients (flavonoids) may possibly evoke allergic skin reactions (dermatitis, eczema) in case of sensitive persons. 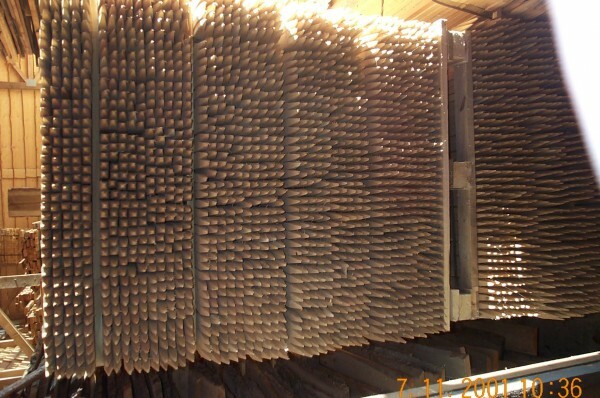 The heartwood has high natural resistance against wood destructive fungi and insects. Robinia is the only kind of wood growing in Europe having resistance class 1-2 according to DIN EN 350-2. Robinia is similar to wood of unrelated species Morus (mulberry) and Maclura (Osage orange) and closely related species Gleditsia (Honey locust) and Gymnocladus (Kentucky coffee tree), and it can be mistaken for these.